The two Group A teams of England and New Zealand will play the 6th match of ICC Champions trophy 2017 while it is also the 4th match of group A. 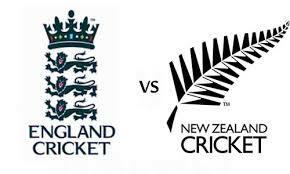 This New Zealand v England match will be played on Tuesday June 06, 2017 while the starting time of this day time match is 10:30 local time. Sophia Gardens, Cardiff is the venue of this England v New Zealand match. Live streaming of NZ v ENG match will be telecast by several sports TV channels while fans can also view live scorecard of ENG v NZ match at several sports websites.